A wonderful winter scene that brings back fond memories for many, ideal for reminiscing about winters past. Can you spot the dog? What team jerseys can you see? Lots to spot and talk about! The Keeping Busy Sequenced Jigsaw Puzzles offer a unique way to allow puzzle lovers to continue to enjoy a favorite pastime, a pastime that is also a great way to exercise cognitive abilities, dexterity and encourage social interaction. Using our unique color sequencing guidance, even people with dementia who find puzzles too challenging can often complete these puzzles successfully, allowing them to regain the sense of satisfaction and accomplishment from completing the puzzle. The magic is in the color sequencing. The pieces fit together in a tray that has a grey image of the puzzle printed on it with each piece outlined in a color coded sequence to show its placement. The puzzle pieces come pre-sorted into groups matching the color sequencing and each group of pieces is presented to the person one at a time. By following the colored clues on the tray and the sequence of steps in the instructions, the person is guided to successfully place the pieces without help. 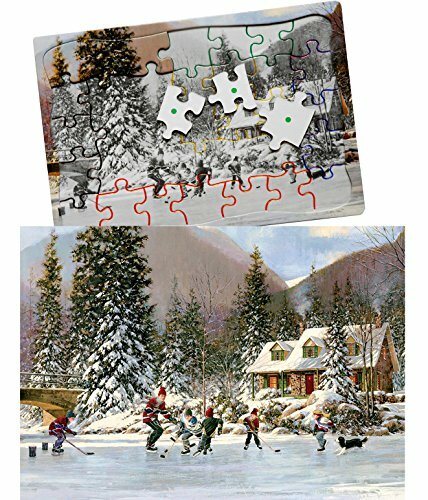 The package also includes a full color laminated sheet showing the finished puzzle to help the person complete the puzzle.